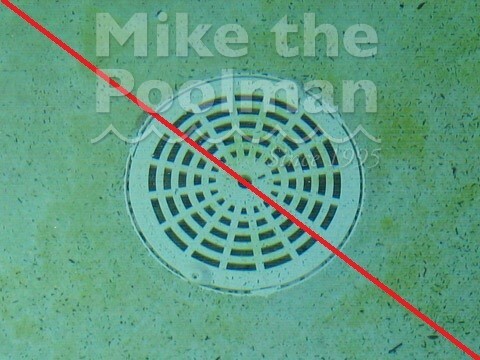 Swimming pool and spa drain entrapment is preventable. anti-entrapment drain covers are professionally installed. Every drain entrapment death has occurred when a flat grate was used, or when a cover was missing, or when a cover was broken, or when a cover was not properly installed. Properly installed anti-entrapment drain covers are the key to safety. We properly install and repair pool & spa drain covers and have been doing so since 1999. We are meticulous about each cover, its function and safety. We calculate flow rates, pipe sizing, pump sizing, relationship coefficients, sump depths, county code requirements, etc. Each pool drain installation is unique and must be treated with the utmost care. 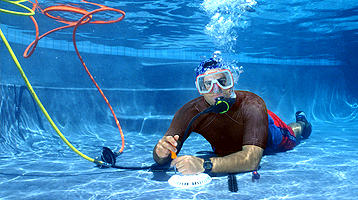 We do it all underwater- saving you water, saving you time, saving you money, and, saving lives..
We are a professional underwater pool repair business, enabling us to work underwater without draining your pool. We use special tools that allow us to cut, drill and plaster- installing your pool cover properly and safely. Don’t drain your pool, we can fix it underwater. give you feedback free of charge. Please contact us for more information. We install drain covers for the Virginia Graeme Baker (VGB) Safety Act in public pools, commercial pools, commercial spas and residential pools and spas. We work in Sacramento County, El Dorado County and Placer County. We install anti-entrapment covers, unblockable drains and SVRS devices. 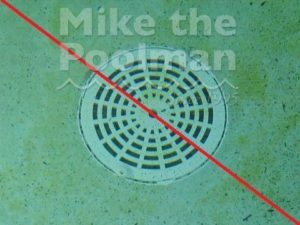 BEWARE: Many pools will not comply with the new legislation by merely changing drain covers, because the sump below the drain cover does not meet the code specifications. In many cases, this will involve construction and design of a new sump. In California, a C-53 contractor’s license is required to modify a sump. 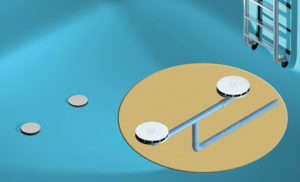 Split pool drains are suction ports that are tee’d under the surface. They must be at least 36″ apart (on center) and must be hydraulically balanced. Please refer to our Unblockable page for more details on these special & unique types of multi-functional Pool Channel Drains. We stock an assortment of drain cover colors on our vehicles at all times. The most common colors are white, black, light grey and dark grey. Polaris pool sweep tail caught? A common issue I come across is the Polaris pool cleaner tail whip (pool sweep tail) getting sucked into the main drain because the drain cover is missing. We regularly go underwater and remove the tail and install a new drain cover to prevent it from occurring again.